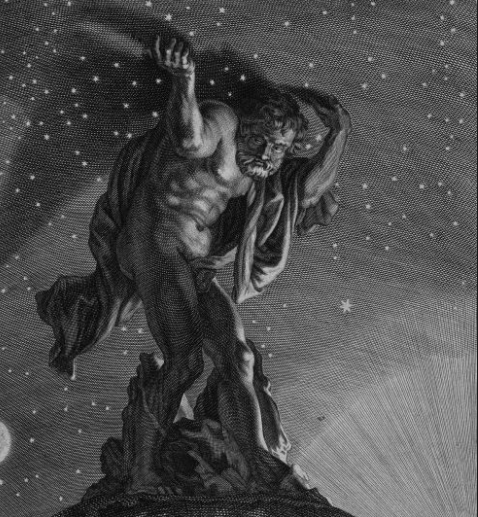 In the opening scene of Handel’s opera Orlando (1733), the magician Zoroastro declares the stars to be ‘eternal hieroglyphs’ that he alone can interpret. Altro che belle oscurità non siete. The essential challenge for Early Music performers is that the ‘hieroglyphs’ of musical notation are not at all ‘eternal’. Familiar-looking symbols have quite different meanings in earlier centuries, in various cultures, in particular contexts. This is particularly true for questions of tempo and rhythm, where Handel’s time-signatures, note-values and tempo-markings appear to correspond to modern usage, tempting performers to assume that there are no unknowns. 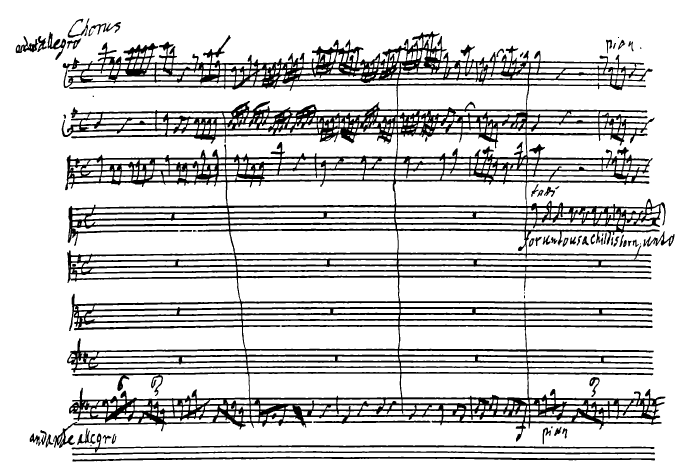 But a tempo-marking often used by Handel should alert us: what can he mean by andante allegro? In modern terms, this is nonsense: ‘slow fast’. Clearly, Handel’s language of tempo is different from our modern-day usage. The past is a foreign country; there is very little we can say about it until we have learned its language and understood its assumptions. To learn the language of Handel’s Time, and to understand the assumptions underlying his rhythmic notation, we must begin by accepting that he was doing things differently there, almost 200 years into the past. 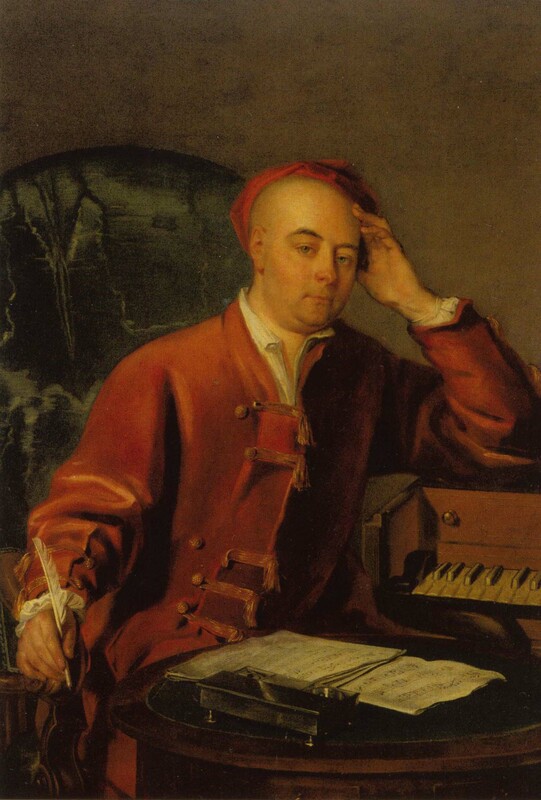 And rather than peering backwards through history in an attempt to decipher those beautiful 18th-century ‘obscurities’, we might start from the 17th-century status quo¸and move forwards in time alongside Handel, as he brings his first-hand experiences of Italian music to Georgian England. Indeed, it could well be argued that applying updated 17th-century practices is more relevant to Handel than trying to work backwards (i.e. anachronistically) from Leopold Mozart (1756), Quantz and CPE Bach, with their mixed French/Italian taste, and later style. We all know this, even though we routinely see ‘early music conductors’ in today’s performances. From Agazzari (1607) and the anonymous c1630 Il Corago to C. P. E Bach’s Versuch (1753 & 1762), baroque sources are consistent that music is guided by the continuo, and that this guidance is given by the way of playing, rather than by hand-signals. 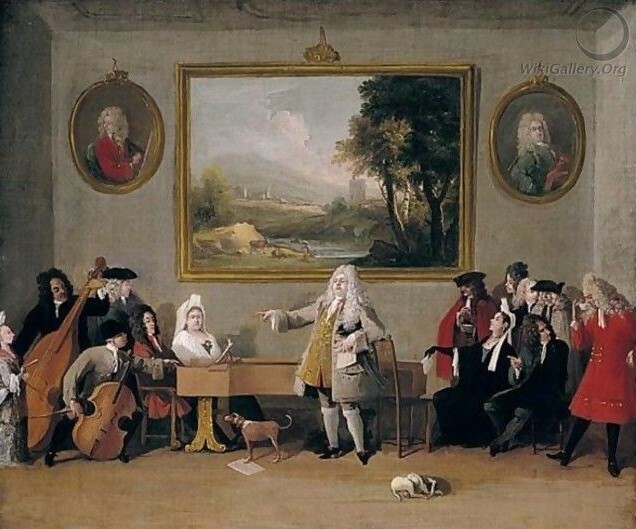 There is no support for what today is sometimes called “directing from the harpsichord”, in which the full panoply of 20th-century hand-waving is employed, with the instrument functioning as little more than an expensive music-stand! 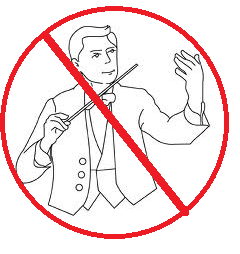 Interpretative conducting, as we understand it today, was unknown. But large ensembles might be unified by the steadying hand of one or more Tactus-beaters. From Monteverdi’s letters to Quantz’s 1752 Versuch, baroque sources are consistent that there is a correct tempo, and that it is the performer’s job to find this tempo, not to invent their own. Default assumptions about tempo are modified by the composer’s specific instructions. 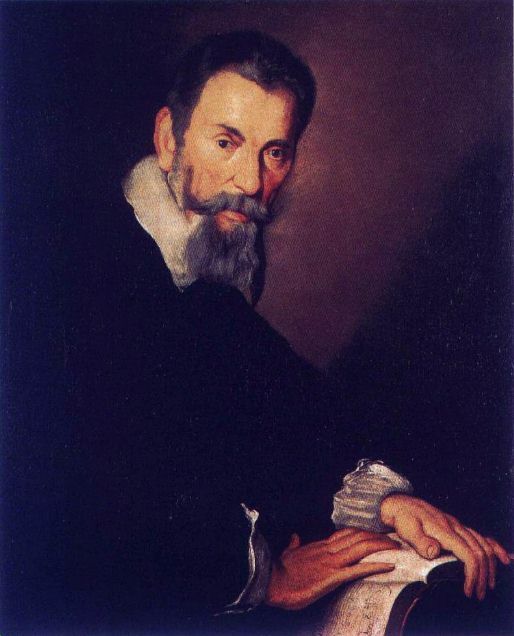 By letter, Monteverdi instructed the performers of Ballo di Tirsi & Clori not to take the piece too fast – good advice, since the triple-metre sections have more polyphony than is usual for dance-music. This instruction reinforces the notation, which indicates (slow) Sesquialtera rather than (fast) Tripla proportions. In the Magnificat of the 1610 Vespers, a printed note instructs the continuo-players to take the movement Et exultavit slower, because the tenors have lots of semiquavers. This instruction is also reinforced in the basso continuo part-book by a change of ‘time signature’. Frescobaldi’s (1615) rules for playing Toccatas (also applicable to the latest style of concerted madrigals) allow for the (normally constant) Tactus to be taken a little slower or faster, for different movements of a piece divided into sections. For certain types of movement, he gives specific details; for the rest, the player is left with the responsibility of finding the correct tempo. Significantly, Frescobaldi does not give the player liberty to choose his own tempo, but offers advice for finding the tempo giusto – correct tempo. Frescobaldi Rules here. 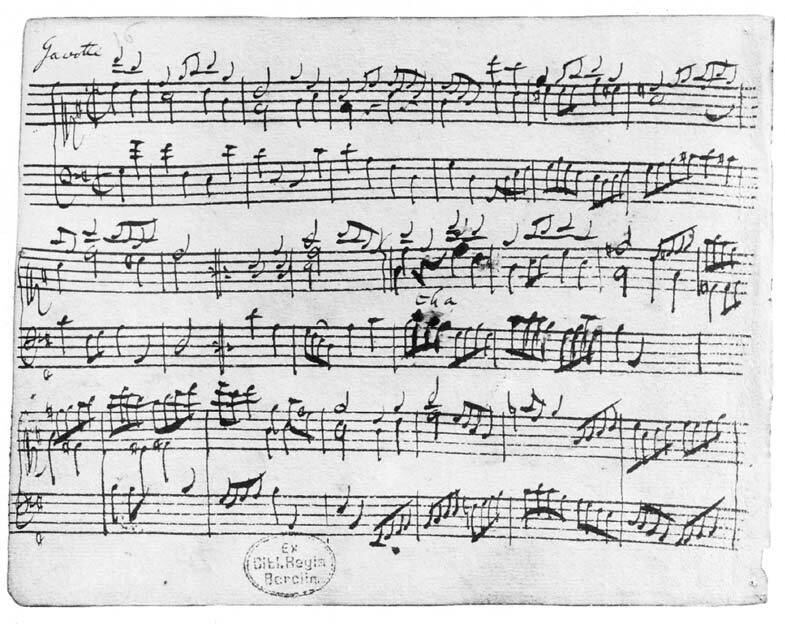 During the 17th century, such modifier-words as adagio, allegro etc. were used increasingly often, to clarify these small changes to the basic tempo, and to reinforce information already provided by the notation. In the early 17th century, triple-time movements are related to the basic common-time tempo by proportions. Three proportional relationships were in regular use: Sesquialtera (2 tactus beats of common-time are equivalent to 3 slow triple-metre beats); Tripla (1 tactus beat is equivalent to 3 medium triple-metre beats); Sestupla (1 tactus beat is equivalent to 6 fast triple-metre beats). Sometimes a very slow triple-metre is notated under the C signature ( i.e. without proportional change, 1 tactus beat is equivalent to 1 beat of very slow triple-metre). In Orfeo, Monteverdi uses this notation for the beginning of Act II: in modern performances, it is almost always misunderstood, and taken much too fast. The strict mathematical relationships of proportional notation might be subtly modified by the composer’s written instructions (as with Tirsi & Clori), and in the second half of the century, the whole system of proportions was rocked by fashionable French dance-rhythms. Whilst Tactus links musical rhythm to the steady motion of the hand, dance links music to particular types of steps and jumps. The result was an increased tendency to think in terms of the individual beats of the bar, as opposed to the long slow Tactus. But even though each triple-metre dance-type might have a subtly different tempo, these tempi seem to cluster around the theoretical speed given by proportion. By 1700, as coloration and white notation for triple-metre fell into disuse and the proportional system began to fade, time-signatures indicate differences in tempo, though perhaps not strict mathematical proportions. 3/2 is slow, 3/4 is standard, 3/8 is fast. 6/8, 9/8 and 12/8 are compound time, with a triple sub-division of a beat in 2, 3 or slow 2, respectively. From the old days of Tactus and Proportions, the tendency remains to preserve a long, slow pulse and to create sesquialtera and tripla relationships, especially in Italianate music and polyphony. Contrariwise, a new habit has emerged, to maintain a short beat, especially in French dance-music. My assumption of the initial conditions at the beginning of the 17th century is that the default tempo was a slow count in minims, around one beat per second, as consistently as humanly possible (but without the mechanical precision of a metronome, stop-watch etc). 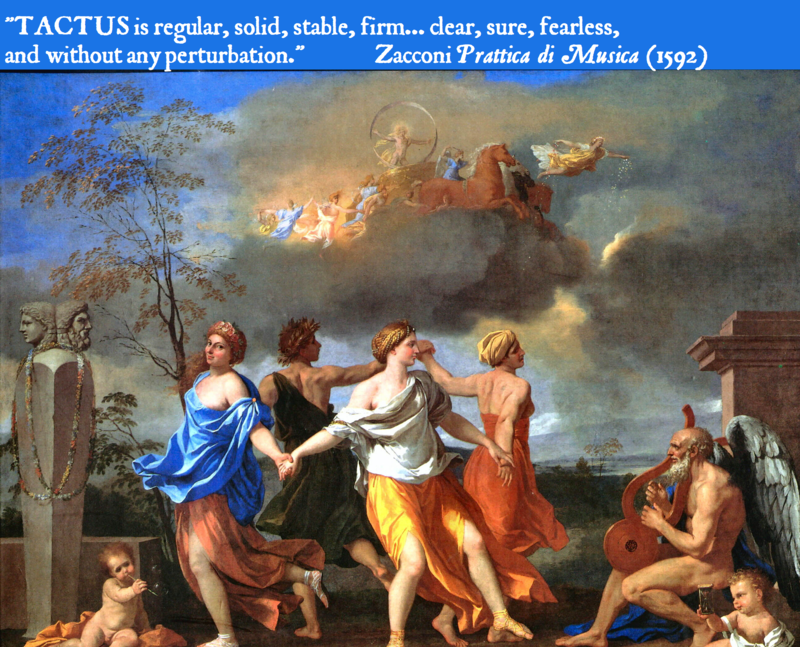 This is consistent with Zacconi’s (1592) characterisation of Tactus as ‘regular, solid, stable, firm… clear, sure, fearless and without any perturbation’, with Frescobaldi’s concept of tempo giusto and Proportions, as well as with Mersenne’s (1636) calculation of a 1-metre pendulum for a 1-second Tactus beat. My hypothesis is that tempo modifiers (Monteverdi’s written instructions, tempo-words like Adagio, Allegro etc) apply to this default Tactus. This seems to be so obvious as not to be worth saying. But applying tempo modifiers to a standard Tactus has a very different effect from the modern understanding of the same words. Nowadays, we expect an Allegro to feel fast, an Adagio to feel slow. But in the Tactus system, the level of activity is indicated by note-values, which may show fast or slow notes, as divisions of the (more-or-less) constant Tactus beat. We might well find quite different levels of activity, with the same tempo-marking. The combination of time signature and tempo- marking indicates a specific tempo. Throughout the work, the same combination of time-signature and tempo-marking implies the same tempo. So we can apply all this musicological theory to artistic practice by comparing as many movements as possible that have the same time-signature and tempo-marking, trying to find the one tempo that (subjectively) ‘works’ for all of them. Given that we are all more accustomed to the modern approach of arbitrary choices of tempo, we should expect to encounter some surprises and challenges, as we put this test into operation with music that we think we already know, perhaps some of Handel’s most-loved operatic and oratorio favourites. We may find ourselves asking, how can these two movements really be at the same tempo??? Should another movement with different markings be slower or faster? Of course, the historical basis for comparison is the human sense of pulse and Tactus, not a digital read-out or a metronome click. Even Loulié’s 1694 chronomètre, a calibrated pendulum, was little used in the 18th century, because musicians did not want an objective measurement of time, they wanted the music to feel right, the tempi to feel subjectively consistent. 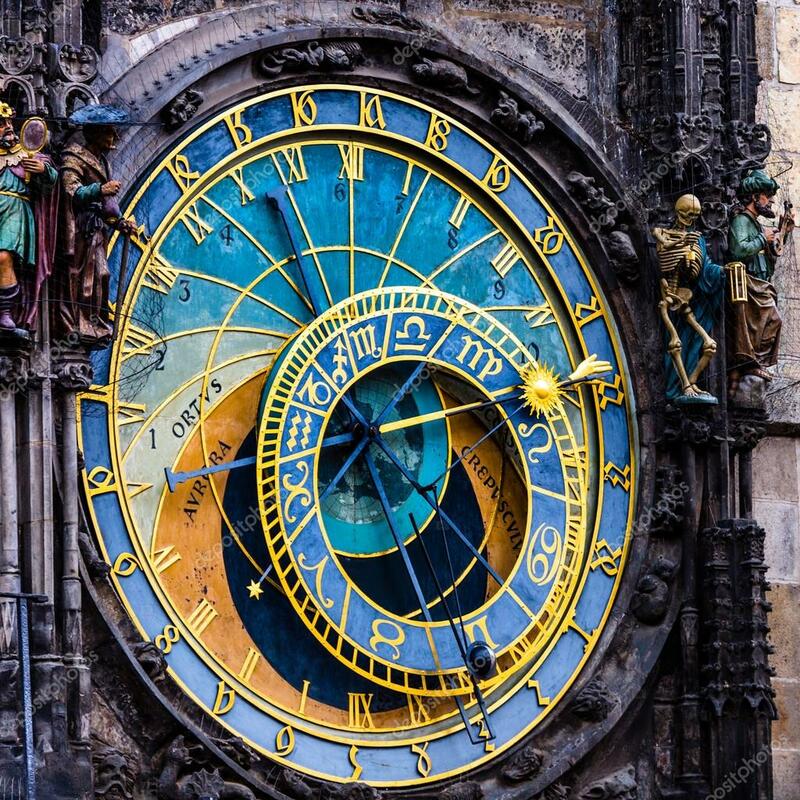 Nevertheless, we should respect the precision of their advanced Tactus skills, acquired over generations of music-making with a regular, slow beat and according to an Aristotelean understanding of Time as dependent on motion – in practice, the steady movement of the Tactus hand. The two most significant features of Monteverdi’s and Frescobaldi’s Tactus/Proportions system seem to have been preserved in Handel’s Italianate operas and oratorios. There is a deep-rooted tendency to maintain a slow (minim) count – perhaps Quantz’s later practice of counting slow movements in crotchets has not yet taken hold. And the concept of a default tempo remains: it is now called Tempo Ordinario (the usual tempo) as well as Tempo Giusto (the right tempo). This latter name strongly evokes the general baroque principle that there is a correct tempo, which performers must find, rather than inventing their own speed. Unfortunately, experiments with tempo giusto in the 1980s were linked to a ‘ticky-tacky’ way of playing, counting small note-values so that the music sounds like a sewing-machine, but this is contra-indicated by the historical tendency to count the tempo ordinario/guisto in minims, not in crotchets or (heaven forbid!) quavers. The latest understanding of Monteverdi’s recitare cantando (literally, to act while singing) rejects the mid-20th-century view that his carefully notated word-setting should be performed in free-rhythm. Rather, this genere rappresentativo (theatrical style) uses contrasts of note-values to create contrasts of syllabic declamation, organised by a regular and stable Tactus. The Tactus of what we call ‘Recitative’ is the same default tempo as for other types of music. 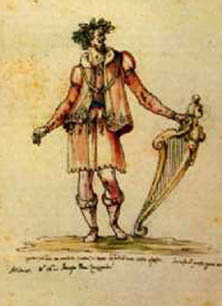 Whereas early 17th-century operas move fluidly between what we now call Recitative and Aria (historically, aria meant any rhythmical structure within the recitativo dialogue of individual speakers), 18th-century opera separates the dramatic action of Recitative from the emotional commentary and musical delights of Aria. As a result, the declamation of Recitative is even more speech-like, and less ‘sung’, and we can expect the syllables to be less prolonged. Comparing Handel’s notation of recitative to Monteverdi’s a century earlier, 18th-century recitative shows greater use of short note-values (semi-quavers) and fewer long note-values (almost no minims, few crotchets). Either the declamatory style has changed, so that syllables mostly come faster, or the Tactus pulse has slowed: most probably, both of these. I find that a ground tempo of minim = 50 works well in this repertoire, allowing singers to ‘speak’ their Handelian recitatives. Of course, the speech-rhythms he notates are not those of everyday modern conversational Italian: they are modelled on the grandiose rhetorical declamation of a great actor on stage in an 18th-century theatre. On the most basic level, respecting the shorter and longer note-values of Handel’s recitative notation produces a dramatic delivery, full of rhetorical contrasts. Probably the sense of Tactus is somewhat loosened, and certainly groups of equally notated semiquavers should be given the alternating patterns of Good and Bad syllables. But preserving a sense of rhythm and metre in recitatives reveals the underlying metrical structures of the poetic libretto. Poetic feet (iambic, trochaic, spondaic etc) become a powerful means of dramatic expression, just as Mattheson recommends in Der vollkeommene Kapellmeister (The Perfect Musical Director, here). 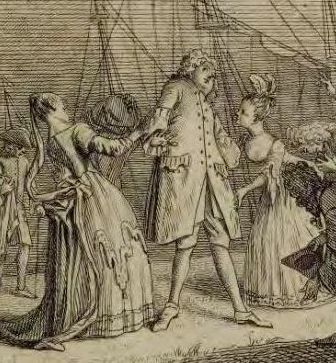 In my case-study of Handel’s Orlando, close reading of Handel’s note-values shows his sensitivity (hitherto un-noticed in recitatives) to the character of particular roles, for example Dorinda’s hesitancy to admit her own feelings. And the composer’s use of rhetorical pauses and dramatic silences is masterful – the ghastly modern habit of ignoring notated rests utterly destroys the emotional effect of rhetorical delivery. 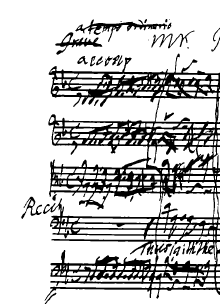 Even the pitches of Handel’s recitative reflect appropriate speech-contours, just as Peri describes for the recitatives of his Euridice (1600). I’m struck by Handel’s consideration of tempo ordinario and grave for his Recitative (see the illustration above): Peri’s Preface also links recitative to texts that are ‘serious’, grave. Translation of and commentary on Peri’s preface here. Quite often in Arias, Handel notates a dotted rhythm for instrumentalists, with the same figure in equal note-values for the singer. Presumably, the singer would know from the Good and Bad syllables of the text, as well as by listening to the instrumentalists, that a dotted rhythm was required. But perhaps that rhythm might be subtly ‘under-dotted’, almost triplet-like. And if this response to Good and Bad syllables is expected in Aria, then it presumably applies also to the evenly-notated semiquavers of Recitatives. Good and Bad syllables here. We might also presume that the senza misura effect described by Caccini, and notated by Monteverdi, still applies in Handel’s recitative. In this 17th-century practice, the singer is free to arrive before or after the beat, as the words and emotions suggest, whilst the continuo remain in Tactus. The result is rather like a jazz-singer’s laid-back syncopations against a steady rhythm-section. Monteverdi, Caccini and jazz here. My second hypothesis is that, in the absence of any other tempo marking, the default speed of Recitative is the ‘usual tempo’. For Monteverdi, this would be Tactus at around minim = 60, for Handel this would be tempo ordinario, controlled with a Tactus-like minim pulse at around minim =50. 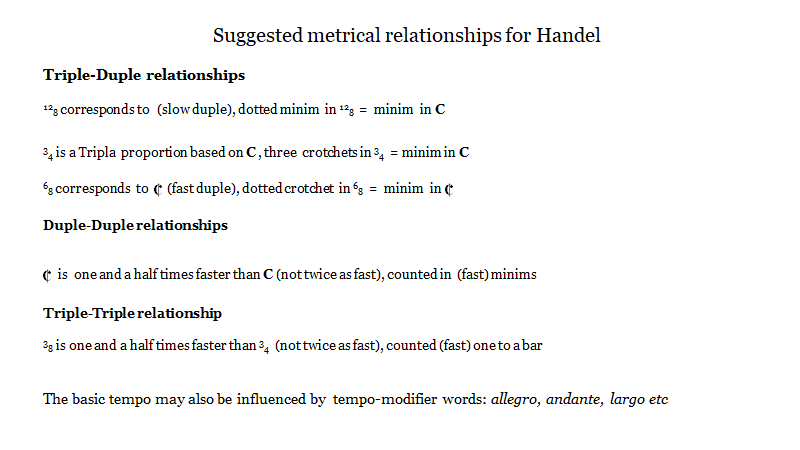 Handel’s Tempo words: faster or slower? Once these principles have been established, the work of finding historically ‘correct’ tempi is fairly straightforward. The first step is to get Handel’s modifier words into the right order. I take andante (going/walking) to be on the slow side of tempo ordinario, whereas andante allegro (going/walking happily) to be on the fast side. 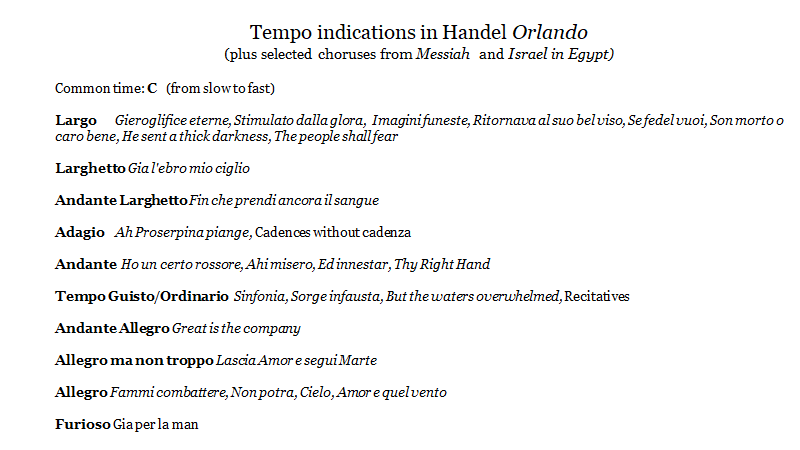 Larghetto is slow, largo slower still; allegro is fast, and furioso (Orlando’s characteristic passion) faster still. Period sources disagree whether adagio is slower or less slow than largo – I think Handel’s adagio needs to be less slow, after testing this option by applying it consistently wherever he notates it. In this process, I noticed that Handel only infrequently notates adagio for the end of a solo aria, and even less frequently adds the conventional fermata to indicate an ad libitum cadenza. Many other fermatas scattered throughout the score simply show that something is ending, with no implication of any change of tempo or halting of rhythm. The resulting table of tempi relationships is uncontroversial, but when it is put to work in conjunction with the principles of tempo ordinario and of consistent tempi wherever we find the same tempo- markings, the area of uncertainty ( i.e. the range of tempi that work for many different movements with the same markings) becomes insignificantly small. Within the limits of human consistency, we can establish what would seem to be Handel’s ‘correct’ tempi. 6/8 is a compound metre corresponding to C/, counted as fast duple. 3/8 is faster than ¾, but not twice as fast. The only instance of C in Orlando is the famous Tempo di Gavotta, which accompanies the protagonist’s mad fury. Some period sources suggest that C should be one and a half times as fast as C, rather than twice as fast. 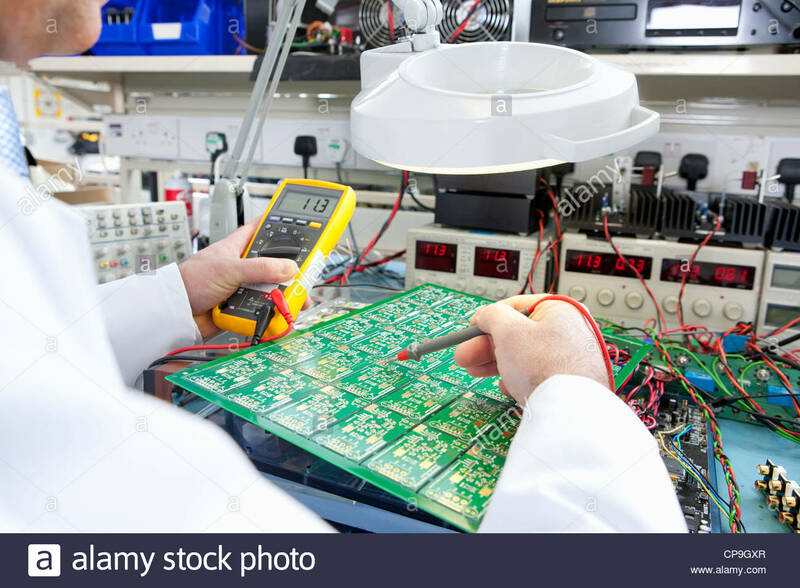 In practice, and measuring with modern-day electronic precision, I find one and a quarter, or one and a third already fast enough. This is consistent with the period meaning of ‘a half’ as “an approximately half-size part” rather than “precisely 50%”. Similarly for 6/8, which should be faster than ¾, but not twice as fast. Encouragingly, all this results in tempi for the the Alla Gavotta and an obviously French-inspired Passacaille that are consistent with what would be needed to dance these styles. And transitions in and out of these French-style movements produce approximately beat = beat relationships, just as we would expect. Appropriately, the fluttering Cupid-wings of 3/8 in the first scene sound similar to the Cupid-music in the last scene, a Recitativo Accompagnato in tempio ordinario. I’m currently preparing for Messiah later this year, which will give me a lot more material for further tests of these hypotheses. And it will be interesting to compare and contrast Quantz’s instructions for different kinds of pulse in various types of later, mixed-taste French/Italian movements. 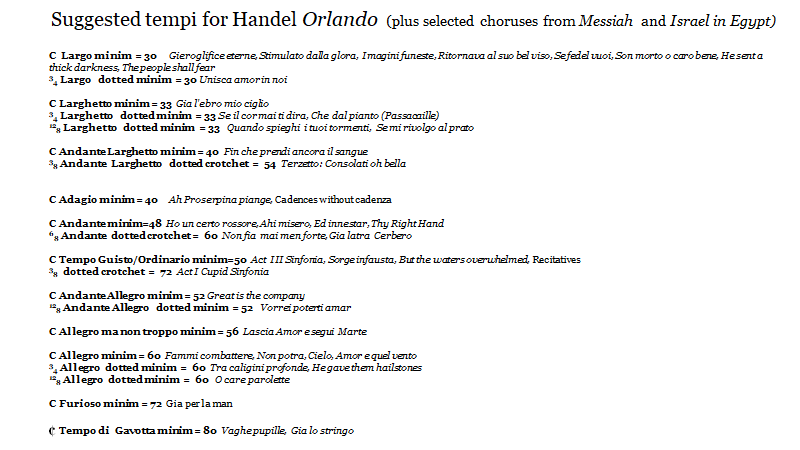 But for now, here is my complete table for Orlando, including some choruses from Messiah and Israel in Egypt that are to be added to the production at Helikon Opera, Moscow. Why mix oratorio and opera? See my next Orlando post, coming soon. 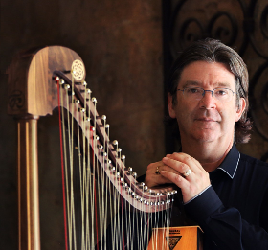 Whilst there is certainly room for debate about the detailed conclusions of this article, it is beyond doubt that historical evidence contradicts the standard practice of today’s Early Music. Baroque tempo was indicated by composers. There was a ‘default’ tempo, tempo ordinario; and the performer’s responsibility was to find the correct tempo, tempo giusto. Even in Handel’s day, musical time and rhythm were still understood in the context of Aristotelean physics and as a microcosm of the perfect, heavenly time given by the cosmos. Without this understanding, the period-specific and context-dependent ‘hieroglyphs’ of baroque notation are nothing more than Zoroastro’s ‘beautiful obscurity’!